The University of South Dakota track and field athletes had a much more prestigious meet than what they are accustomed to competing in over the weekend. Traveling to Palo Alto, Calif., only eight USD athletes competed at the elite Stanford Invitational. The top showing by a Coyote came from junior Emma Erickson’s first place finish in the second section of the meet’s 800-meter run. Erickson’s time, 2:07.75, was just .49 seconds off of her 2010 school record. Erickson had the fourth-best overall time of the seven sections. Sophomore Alexa Duling placed second in the second section of the 400-meter hurdles with a time of 1:01.71. On the men’s side, freshman Travis Brenner placed fourth in the sixth section of 1,500-meter run with a time of 3:56.64. Sophomore Casey Shade ran a 1:53.52 in the fourth section of the 800-meter run, placing ninth. A native of California, junior Kenna Wolter took second in the long jump with a leap of 18′ 3 ¼”. Wolter also competed in the triple jump in which she placed ninth with a jump of 37′ 5 ¼”. 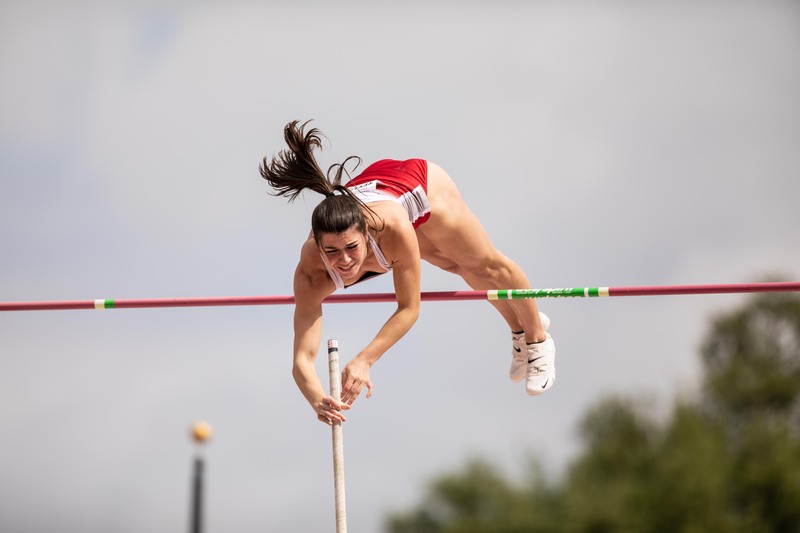 Two USD athletes also competed in the pole vault. Sophomore Bethany Buell tied for fourth place at 12′ 5 ½” while senior Tane Owens placed ninth at 14′ 9”. In the throws, senior Jasmine Mosley took fifth place in the shot put throwing 46′ 8 ¼”. In addition Mosley also placed 12th in the discus throwing 122′ 4”. The Coyotes return to action at the Vance Butler Invite in Sioux Falls Saturday. Reach reporter Emma Murray at Emma.Murray@usd.edu.